The Further Fund Offer (FFO) of the CPSE ETF is now open & set to close tomorrow. The CPSE ETF looks lucurative enough on the face of it. After it consits of Maharatnas and Navrathnas and you are getting 5% discoutn to the boot. The drawbacks are however many and not being understood even by many experts as everyone seems to be only looking at that 5% Discount!!! 1. The Fund has a concentrated portfolio of only 10 stocks and Energy Sector alone has a dominant weightage of as much as nearly 58% of the portfolio!! This is followed by Metals at 20%. Just 2 sectors making up nearly 80% of portfolio is a huge huge overconcentration risk. 3. The underlying shares have shot up in the last 6 months and could see profit booking in the coming weeks thereby affecting the returns. 4. 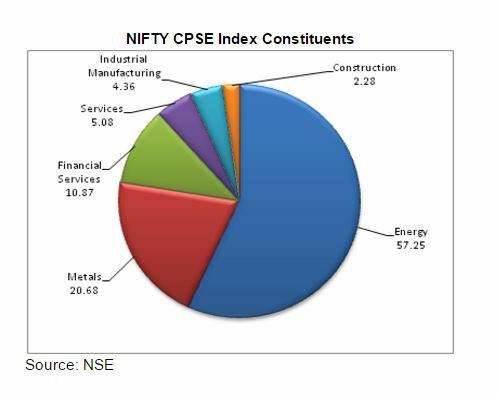 The so called "experts" are talking that the previous CPSE ETF has beaten the Index. Its nothing but the fact that the Dividends recd is REINVESTED in the ETF and hence the outperformance!! The dividend has been 4% , so for 2 years, it works to 8%. Simple Maths but enough to lure gullible investors!! 5. Unlike the previous issue where there was a Loyalty unit bonus but this there is no such attraction this around. 6. Another point to note is that the February CPSE Futures is quoting at a discount of OVER 40% (!!!) clear indication that the Market participants expect a Fall AFTER the units in this issue is allotted. So, for a 5% discount bait, you could well be risking a Bigger Percentage. Please look at a Diversified fund and if you are so bullish on PSU stocks, even then investing in a PSU fund like a Invesco PSU Fund/SBI PSU fund makes more sense than investing in this ETF which comprises of just 10 stocks. Invest ONLY if you have the talent/knowledge on when to EXIT too! And, please please if you are investing only looking at making a quick exit on listing, DO NOT MAKE THAT MISTAKE. You might well have to sell at a loss! I really appreciate your knowledge about investment. I also like the Equity Tips of dollar advisory and financial services.